Legal and consultancy services, in business and commercial transnational matters are provided our clients, both domestic and foreign, in the Slovak Republic and abroad. Our law firm brings to bear our expertise and international experience in providing comprehensive and coordinated advice designed to meet our clients’ needs. Our business-oriented and pro-active approach efficiently and successful manages our cliet's transactions whilst delivering the best value for money. We have built a reputation for being innovative with our business and financial solutions to achieve our clients' aims. Applying our vast good knowledge of the local legal environment at an international standard ensures we reflect a very high level of professional excellence when representing our clients. Our Firm constantly strives to develop international cooperation and partnerships with international organizations and other law firms. 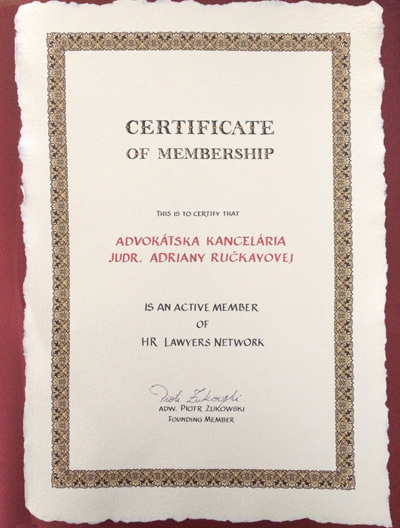 We are a member of the HR Lawyers Network, an international network of law firms which was established to support legal requirements in various European countries in the field of labour law and related rights and obligations of both employers and employees. 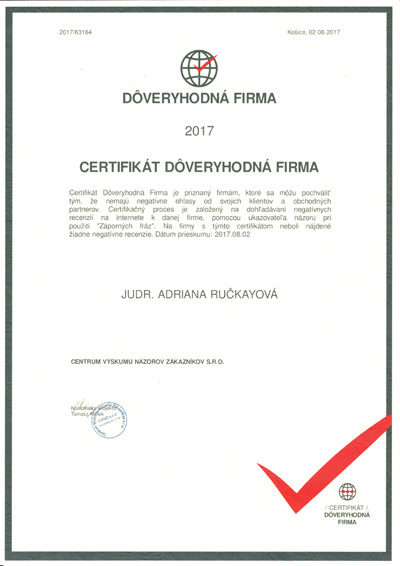 Thanks to our good reputation and the high quality of our legal services and advices to our clients in their international business activities, we have built a network of partners within Europe as well as within in other teritories. We are pleased to announce recently concluded contract for cooperation with a law firm in Belarus - Imperion Jurist, OOO, and Law Firm of Dr. Zinoveva. 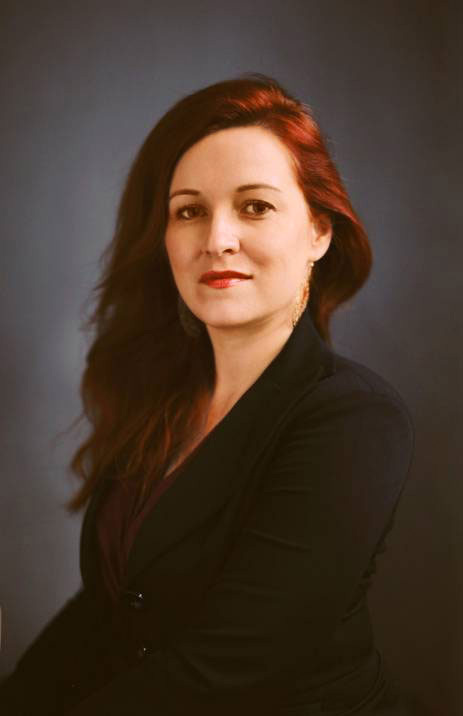 Particularly, we would like to mention our well-known partners in Hungary - the Law Office of Dr. Ratkai and in Poland Cyżowski Żukowski Law Office.